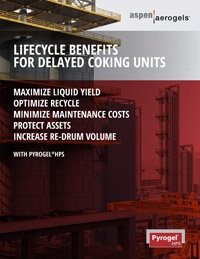 Pyrogel HPS is tough and durable, delivering consistent performance without cracking, sagging, or settling. It can be re-used after maintenance or inspection, minimizing the time and expense required to stage replacement insulation. 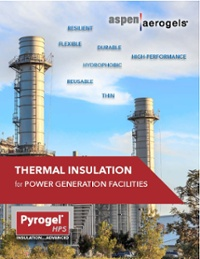 Pyrogel HPS is ideal for use in the fabrication of removable insulation pads. It maintains its shape and location even after vibration or exposure to high temperatures. 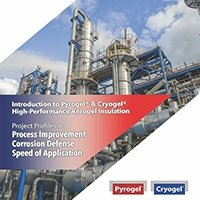 As with all Pyrogel products, Pyrogel HPS is hydrophobic and breathable, resisting liquid water and avoiding the damaging effects of wet insulation. 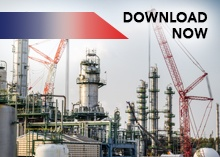 These unique characteristics combine to minimize heat loss and provide the ultimate protection for process units and high pressure steam pipes. 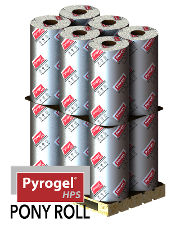 For the ultimate in versatility, Pyrogel HPS is available in two rolls size. The 850 square foot bulk rolls are ideal for large projects or fabrication work. Convenient, 80 square foot Pony Rolls offer easier handling—perfect for tight spaces or for smaller maintenance work.